Sanctuary Santa Fe was founded in 1996 by European Esthetician Kerstyn Porsch. 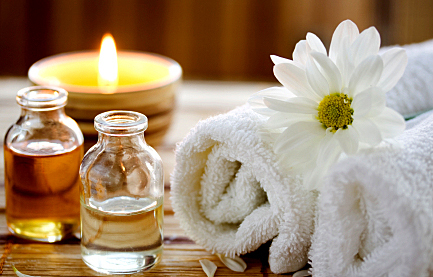 I am committed to utilizing outstanding, HOLISTIC AND ORGANIC products in my facials and therapeutic massage treatments. Decades of dedicated work as an alchemist of all things natural that feel, taste, smell and WORK very good, have evolved into special skills and techniques which help to enhance my clients experiences to contribute to their beauty and wellness. If you want to channel your own inner alchemist, I will show you how to create home-made lotions and masks for your at-home sanctuary. Having been a resident of Santa Fe for over 20 years, I’ll also share secrets with you about the best hiking trails and restaurants around town! Sign up for current postings on my blog page to get news on specials at Sanctuary Santa Fe, tips and secrets! My practice serves long-time locals and visitors to Santa Fe – let me help you make your time in Santa Fe memorable and relaxing! Kerstyn Porsch, European trained esthetician, has been practicing holistic and age defying skincare in Santa Fe, NM since 1996. In 2001 Kerstyn received her license as a Nationally Certified Massage Therapist, to practice massage therapy in New Mexico. Kerstyn holds a National Certificate in Massage Therapy and is licensed in New Mexico to practice. She specializes in therapeutic touch massage, from swedish to deep tissue, sport and medical massage, with focus on trigger point and Myofascial release, Ortho-bionomy techniques and passive stretching to address a variety of complaints, from acute muscle overuse and misalignments to chronic pain issues. Holding a Black Belt in Martial Arts, she has a deep understanding of myofascial and postural structures and the need for athletes to be balanced in order to perform at their highest level.